Japan Nikko Temple Woven Silk | VintagePostcards.com: vintage, old, antique postcards for collectors. 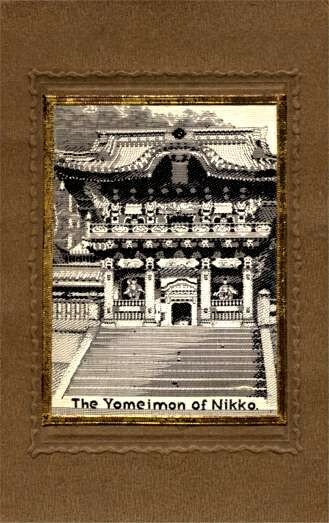 "The Yokeimon of Nikko." Published in Japan. Used 1913 Takasaki, Japan to Los Angeles, California by S. Morihira "I thank you very much for the beautiful card. I am very glad to dorrespond with you and shall be glad to receive some nice views of America.. ."